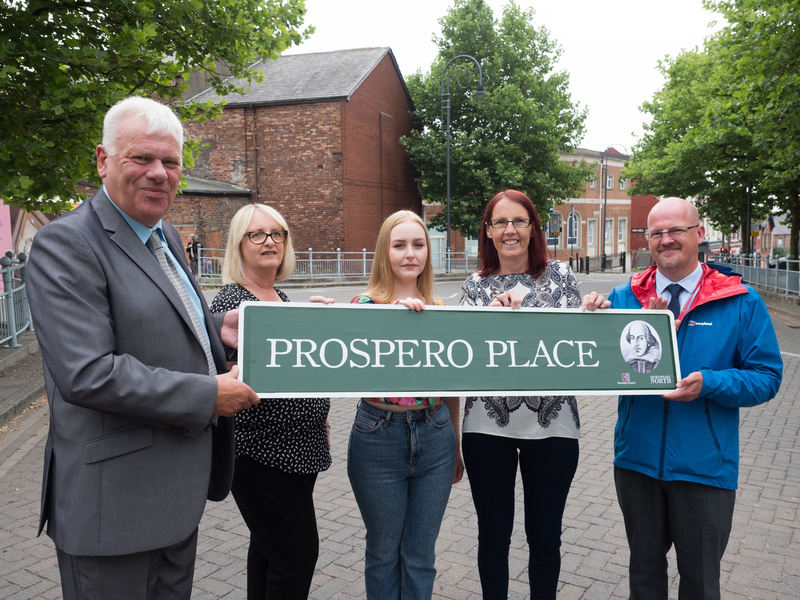 The name of the street that will be home to the new Shakespeare North Playhouse in Prescot, has been chosen. It can be revealed that Prospero Place will be the address for the new iconic building that will become one of the most well known addresses in Knowsley and for the North of England. Prospero is a character in Shakespeare’s play The Tempest who learned sorcery and it is this magical and theatrical theme that has inspired the name. Prospero Place received nearly half of the public votes cast and it was a popular choice from the beginning as a number of people put forward this suggestion. 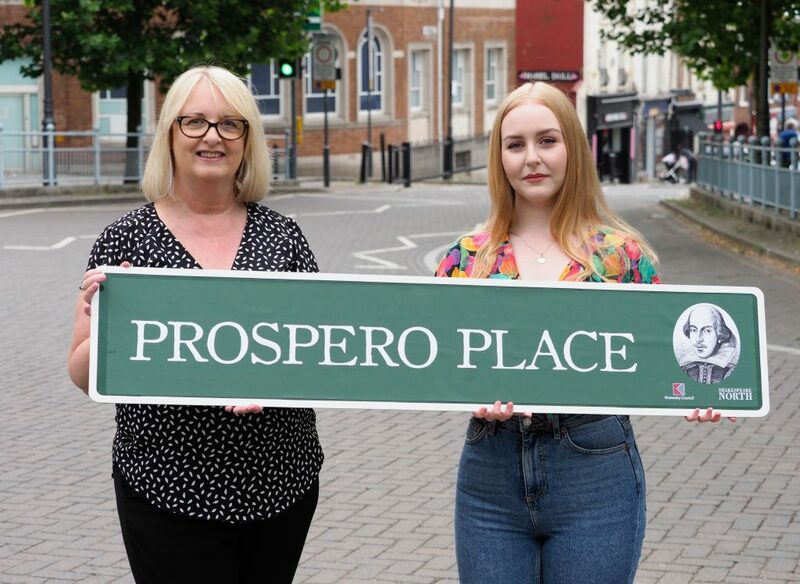 Prescot residents, Peter Smith, Julie Pontin and her son Luke and Charlotte Jones and her mum Debbie, all submitted Prospero Place as their suggestion for the street name. 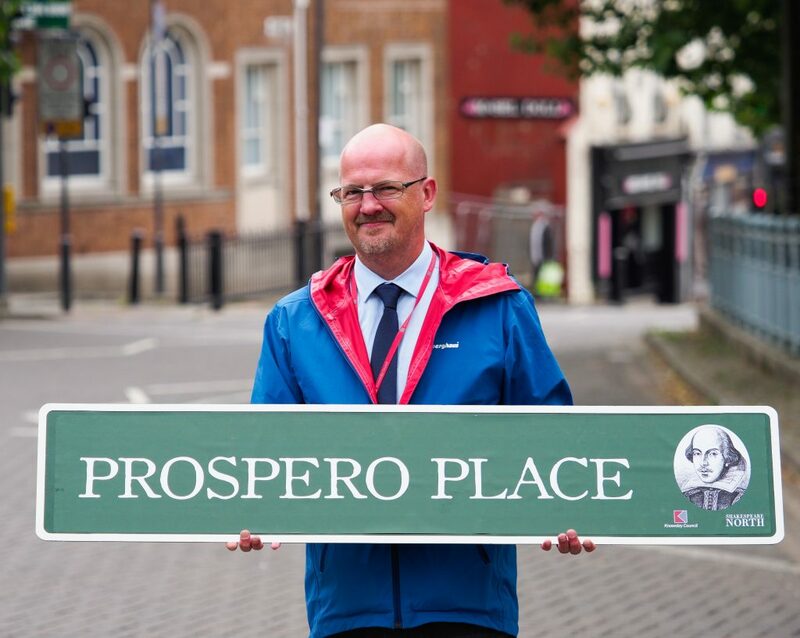 They now have the honour and recognition of naming the street which will be home to the new Shakespeare North Playhouse and an address that will become known to millions of visitors from all over the world. 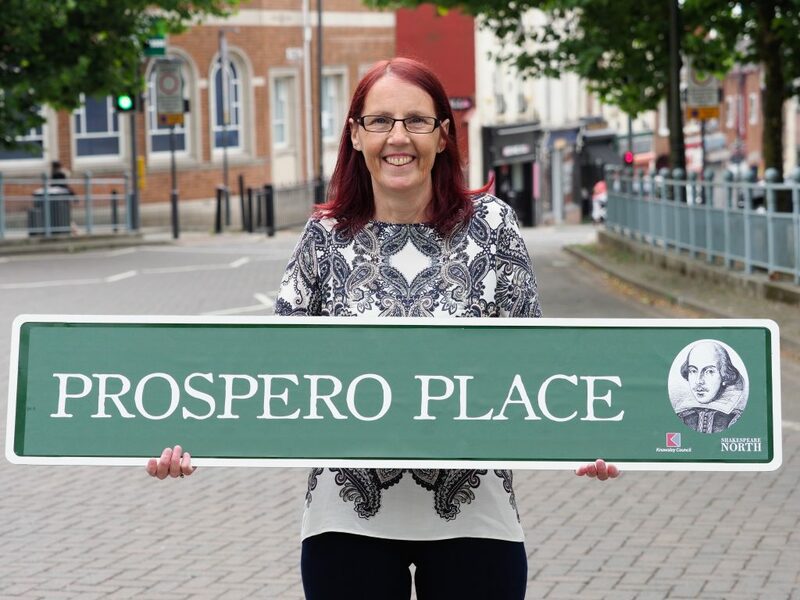 Julie Pontin from Prescot who also suggested Prospero Place as the new street name. Mother and daughter, Debbie and Charlotte Jones who submitted Prospero Place as their street name idea. “I am delighted with the name Prospero Place. 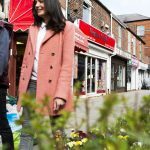 All of the shortlisted nominations were exceptional ideas, but I think Shakespeare is definitely bringing a lot of magic to Prescot and that has certainly influenced people’s votes. There was a huge response to the initial call for a street name. Nearly 400 suggestions were submitted, ranging from the names of Shakespeare’s plays, characters and other historical links to Prescot. A shortlist of six names was open to the public vote where more than 1,400 votes were cast and nearly half of those in favour of Prospero Place. Knowsley may be one of only three places in the world to have the address ‘Prospero Place’. Newfoundland, Canada has a street called Prospero Place, while Prospero Place in New Zealand is at the heart of the business district in Stratford, also named after the character in The Tempest. On Thursday 9 August, The Lord Chamberlain’s Men will return to the beautiful grounds of Knowsley Hall to tell the story of Shakespeare’s The Tempest with comedy, music and dance. 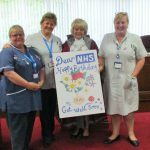 You can book tickets here or buy them from Jessie & Co on Leyland Street in Prescot, or at the Feelgood Festival and Knowsley Flower Show.